King Salman bin Abdulaziz Al Saud has designated Deputy Crown Prince Muqrin bin Abdulaziz Al Saud as the kingdom of Saudi Arabia’s new crown prince. 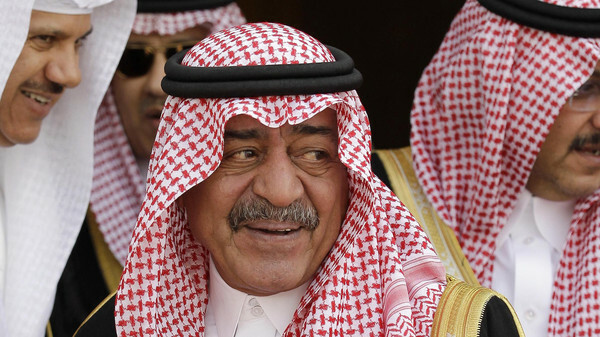 On March 27, 2014, the late King Abdullah bin Abdulaziz issued a royal order appointing Prince Muqrin bin Abdulaziz as second-in-line to the throne, in addition to his position as second deputy prime minister. The royal order mandated that Prince Muqrin be pledged allegiance to as crown prince once the position of the crown prince was vacant and be pledged allegiance to as king of the state once the posts of king and crown prince were both vacant once again. Prince Muqrin served in the Royal Saudi Air Force (RSAF) from 1965 to 1980. He served as governor of Hail Province from 1980 to 1999 and governor of Madinah Province from 1999 to 2005. Subsequently, he served as chairman of General Intelligence from 2005 to 2012. In 2012, Prince Muqrin was appointed advisor and special envoy of King Abdullah bin Abdulaziz. On Feb. 1, 2013, he was named second deputy prime minister by King Abdullah and on Jan. 23, 2015 he was named crown prince and deputy prime minister by King Salman. The crown prince said that the late King Abdullah bin Abdulaziz Al Saud had showed his people love, faith, and sincerity, unmatched among other leaders and peoples. In a statement, he said that King Abdullah’s life was marked by rich stances in support of causes related to Arab and Islamic nations everywhere. “We pray to Allah Almighty to reward him a house in paradise and offer him a good rest,” the crown prince said. He also wished King Salman bin Abdulaziz Al Saud all the success, based on his political experience, health and happiness. Crown Prince Muqrin is the 35th son of founder King Abdulaziz Al Saud. He was born in Riyadh in 1945 and grew up in the care of his father, King Abdulaziz, studying at the Riyadh Model Institute before later serving in the county’s air force from 1965 to 1980. Prince Muqrin joined the RSAF in 1964 and then went on to study in Britain, graduating in 1968 with the rank of flight lieutenant. In 1969 he began advanced training courses on fighter jets at Dhahran Air Force base and served as commander of the 2nd Air Squadron between 1970 and 1973. In 1974, Prince Muqrin joined the General Staff course in the United States, where he earned a diploma equivalent to a master’s degree. In 1977, he was appointed assistant to the director of air operations and head of the plans and operations division in the RSAF. In 1980, King Khalid bin Abdulaziz named Prince Muqrin emir of Ha’il Province at the age of 35. He remained in this post for 20 years before King Fahd bin Abdulaziz issued a royal decree in 1999 appointing him as the emir of Medina, succeeding his brother Prince Abdul Majeed bin Abdulaziz. In late 2005, a royal decree was issued appointing Prince Muqrin as head of Saudi Arabia’s General Intelligence. During his term, Prince Muqrin organized the first Information Technology and National Security conference in mid-2007 to mark the 50th anniversary of the vital institution. Prince Muqrin said the conference aimed at breaking the barriers between the intelligence service and society, in addition to carrying out its usual function of serving national security, protecting the people, and safeguarding them at home and abroad. Prince Muqrin remained in this post until King Abdullah bin Abdulaziz appointed him special royal advisor and envoy with the rank of minister on July 19, 2012. On Feb. 1, 2013, he was named second deputy prime minister. Prince Muqrin is known to have a passion for astronomy, reading, culture and agricultural research. When he was emir of Ha’il, Prince Muqrin transformed the province into one of the most agriculturally vital and active regions of Saudi Arabia. He is also interested in modern technology, including e-government and its applications, as well as classic Arabic poetry.